1958 | Carroll M. Johnston (BS ’58; Kelda; Las Vegas) was recognized for his 37 years in education by the Clark County School District, which named a new middle school in his honor. 1961 | Kay Thompson Swan (BS ’61, MEd Weber State University ’80, PhD Utah State University ’94; Karl; Roy, Utah) served as a delegate for the International Federation for Home Economics at the United Nations 52nd Commission on the Status of Women. 1967 | Mark J. Howard (BS ’67, MPH UCLA ’69; Deborah Gilgen [BS ’72]; Las Vegas), president and CEO of Mountain View Hospital, received the American College of Healthcare Executives 2008 Gold Medal Award. It is the highest honor bestowed on healthcare leaders who have made significant contributions to the field. 1973 | David S. Owen (BA ’73; Diane Creer [’73]; Nauvoo, Ill.) opened a bed and breakfast in an original Nauvoo, Ill., red-brick home. Ingo R. Titze (PhD ’73; Ruby Pittard [BA ’72]; Denver) received the 2007 Silver Medal in Speech Communication from the Acoustical Society of America for his work in voice studies. 1975 | Delwin R. Hemingway (BS ’75, DDS Northwestern University ’79; Janice; Hollister, Calif.), along with his dental practice partner, Mark A. Reber (BS ’81), won the 2007 Dental Office Design of the Year Award for small practices from Matsco, Dental Economics magazine, and the American Dental Association Member Advantage. 1976 | David R. Minert (BA ’76; Fay Davis [BS ’74]; Nampa, Idaho) has published The Book of Revelation Simplified for the Latter-day Saints. Harold “Pete” Petersen (BA ’76, MA ’78; Karen Heier [BA ’74]; Farmington, Utah) was appointed to the board of directors of DRI, the nation’s largest civil-defense bar organization. 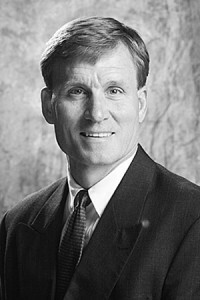 He is the organization’s mid-region director. Stephen L. Woolstenhulme (BA ’76; Carma Garner [BA ’73]; Plano, Texas) has been appointed president of Lake Texoma Jet Center and Red River Turbines, two aviation operations located at the North Texas Regional Airport. 1977 | Scott W. Johnson (BS ’77; Lincoln, Calif.) has been promoted to the rank of brigadier general in the California National Guard. Victor A. Taylor (BS ’77, JD University of Virginia ’83; Salt Lake City) has been named president of the law firm Parr, Waddoups, Brown, Gee, and Loveless. 1978 | Deborah K. Jones (BA ’78; Santa Fe, N.M.), an officer of the Senior Foreign Service, was nominated by President George W. Bush and confirmed by the Senate as U.S. ambassador to Kuwait. 1980 | Polly Kiester Dunn (BA ’80; Robert [BS ’86, MM ’89]; Shaker Heights, Ohio) will direct the musical theater production This Is Kirtland! for its fifth season. Her husband, Robert, will join her as a codirector. 1981 | Mark A. Reber (BS ’81, DDS UCLA ’85; Salinas, Calif.), along with his dental practice partner, Delwin Hemingway (BS ’75), won the 2007 Dental Office Design of the Year Award for small practices from Matsco, Dental Economics magazine, and the American Dental Association Member Advantage. David A. Young (BS ’81; Cathy Barton [’80]; Orem, Utah) is president of Paragon Wealth Management, a money-management firm. Over a period of 10 years, Paragon’s Top Flight Portfolio generated a return five times higher than the S&P 500. 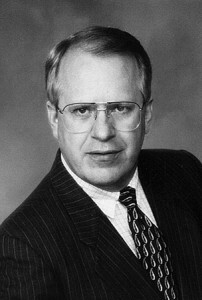 1982 | John G. Peters (BA ’82, BA ’82, MA ’84, MPhil Columbia University ’88, PhD Pennsylvania State University ’96; Deanna; Denton, Texas) is the president of the Joseph Conrad Society of America. In 2007 he published a translation of the Japanese poet Takamura Kôtarô’s book The Chieko Poems. 1983 | Barton R. Bowen (BS ’83, MBA University of Phoenix ’98, MPA University of Utah ’99, PhD University of Utah ’05; Nancy Gibson [BS ’83]; Mesa, Ariz.) has had his doctoral dissertation, A United Order Model for a Globally Integrated Society, published. David R. Ek (BS ’83, MS ’84; Mishele; Vienna, Austria) is an analyst for the Office of Nuclear Security at the International Atomic Energy Agency in Vienna, Austria. He provides nuclear-security advice for countries around the world. 1984 | G. Murray Snow (BA ’84, JD ’87; Charmaine Smock [BA ’77]; Phoenix) was nominated by President George W. Bush to serve as a federal judge on the U.S. District Court for the District of Arizona. 1985 | Tracy A. Cromwell (BA ’85; Richmond, B.C., Canada) was appointed to be the new director of development and marketing for the H.R. MacMillan Space Centre in Vancouver, B.C., Canada. 1986 | G. Stefan Schetselaar (BS ’86, MS Radford University ’92; Kelly; Gainesville, Va.) and his wife, Kelly, completed a 100-mile bike ride from Chesapeake, Va., to Manteo, N.C., in support of the American Diabetes Association, raising more per capita than any other team. 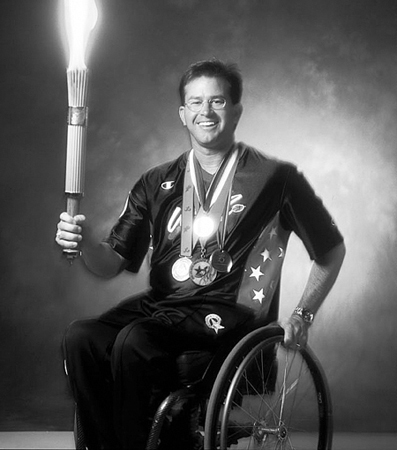 1987 | Mike P. Schlappi (BS ’87, MBA Arizona State University ’89; Tamara Holker [AS ’84]; Draper, Utah) was inducted into the National Wheelchair Basketball Association Hall of Fame. Also, the “Wheelin Jazz,” a team he founded and plays on, made it to the National Wheelchair Basketball Association’s final four for the first time. 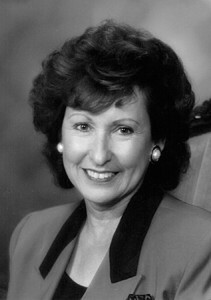 1988 | Kim Baccellia Rapier (BS ’88; Michael [BA ’88]; Foothill Ranch, Calif.) published her first book, Earrings of Ixtumea, which was a 2007 Dream Realm Award finalist. 1992 | Christopher M. Anderson (BS ’92, MAcc ’92; Debra Rolfson [BS ’88]; Weston, Fla.) is now senior vice president of finance for Burger King Corporation. Stephen L. Brown (BS ’92, MS Arizona State University ’97, PhD University of Maryland ’01; Janalyn McMullin [BS ’91]; Murphysboro, Ill.) is an associate professor of health education at Southern Illinois University. 1994 | Mark A. Hamberlin (BA ’94, MOB ’98; Margaret Stryker [BA ’95]; Vaucresson, France) was promoted to senior director of human resources, European markets, for Cisco. Christian D. Hancey (BA ’94; Suzanne Adams [’97]; Pittsford, N.Y.) was elected to the position of partner of the international law firm Nixon Peabody. He will focus on employee benefits and executive compensation. 1996 | Annie R. Brown (BS ’96, MAcc ’96; Jamaica, West Indies) has published her novel For the Love of God and the Heart of a Woman. 1997 | Stephen R. Anderson (BA ’97; MM University of North Texas ’00, DMA University of North Texas ’05; Dori; Mebane, N.C.), who serves on the faculty for jazz studies and composition at the University of North Carolina, has released a jazz piano trio album and publication. 1999 | James W. Dashner (BS ’99, MAcc ’99; Lynette Anderson [BS ’98]; West Jordan, Utah) has published the novel The 13th Reality: The Journal of Curious Letters. Vernon G. Dickson (BA ’99, PhD Arizona State University ’07; Danielle Schaugaard [BS ’97]; Davie, Fla.) joined Florida International University as an assistant professor of English, specializing in rhetorical studies and Renaissance literature and culture. Lori Pollmann Sanders (BA ’99; Ryan [BA ’99]; Orem, Utah) is the cofounder, director, and acting teacher of Center Stage Young Performers, a children’s musical theater program. Cameron C. Taylor (BS ’99; Paula Brackett [BS ’97, BS ’97]; Provo) has published Does Your Bag Have Holes? 24 Truths That Lead to Financial and Spiritual Freedom. 2000 | Clint T. Gilmore (BA ’00, JD University of Utah ’03; Shiloah; West Valley City, Utah), a prosecuting attorney and special assistant U.S. attorney, was honored by the U.S. Department of Justice for his work on Utah Project Safe Neighborhoods, an anti-gun-violence initiative. Jay R. Young (BA ’00; Willow Seely [’03]; Overton, Nev.), a partner in the law firm Marquis and Aurbach, has released the gospel music CD One More Stone. 2001 | L. Vance Taylor (BA ’01, MS University of Connecticut ’07; Oxon Hill, Md.) has joined Olive, Edwards, and Cooper as a principal. His emphasis will be critical-infrastructure protection. 2002 | Nancy Owens Fulda (BS ’02, MS ’04; Fabian [BS ’04]; Rantrum, Germany) created a print-on-demand anthology Web site, which allows users to create a book from archived magazine stories. 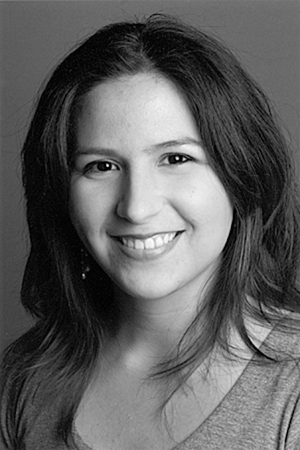 2005 | Carolina M. Montano (BS ’05; Lake Worth, Fla.) has been awarded a 2008 Paul and Daisy Soros Fellowship to help cover her medical-school expenses at Johns Hopkins University. 2006 | Jared R. Collett (BS ’06; Mary Donaldson [’04]; Glenside, Pa.), a student in the master of medical science–physician assistant program at Arcadia University, gave the keynote address at the school’s honors convocation. Tyler C. Oakes (BS ’06; El Cajon, Calif.), a member of the Arizona State Sun Devils water polo team, was named to the 2007 All-America Division I Second Team by the Collegiate Water Polo Association.